Everyone has single friends who don’t want to be single. Some people are perfectly happy when they’re not in a relationship, but others can’t stand it. And sometimes that feeling of loneliness can affect you too. 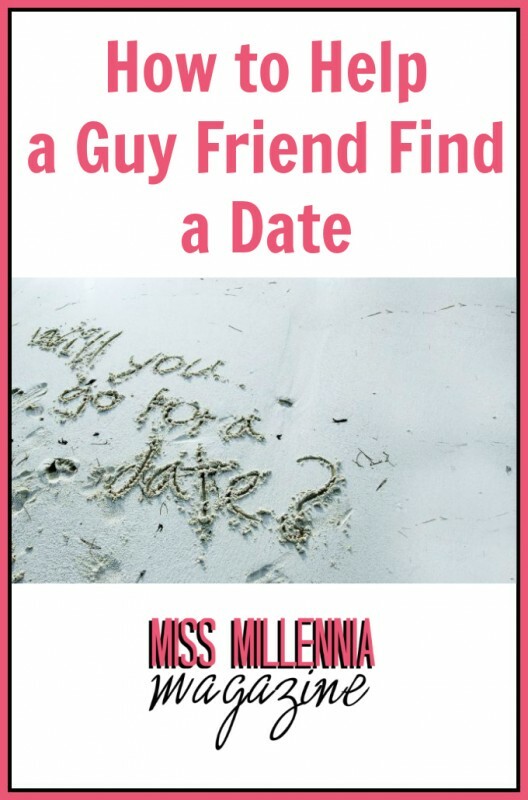 If you have a guy friend who’s looking for a relationship, they might ask for your help. While you may be flattered that they trust you, the request might also send you into a panic. Even if you’re in a happy relationship yourself, it doesn’t mean you know how to help someone else get one! Perhaps you’ve helped a girlfriend in the past, but you’re not sure about doing the same with a guy. However, you can offer a new perspective that his male friends can’t. If you’ve decided to help your friend, the first thing you should do is find out what he’s been doing so far. Presumably, he has been making some effort to find himself, someone, to love. If he hasn’t, you already know what one of his main problems is. One of the things he might be doing is using websites like http://www.win-with-women.com. Some of these sites can be useful while others are full of misinformation and stereotypes. Check his sources so you know where he’s been coming from. Ask him what else he’s been doing to try and find a partner, and it will help you identify where he’s been going wrong. Style and presentation can mean everything in the dating game. It’s not that only one look is acceptable, or the most attractive, but you’ve got to seem like you’re putting to get noticed, and you care about your appearance. It’s not just about looking attractive, though; it’s also about feeling more confident. If you think your friend could do with a makeover, offer to take him on a shopping trip. Don’t force him to wear anything that’s not him, but encourage him to find new clothes that he likes. A lack of confidence can be fatal to anyone who’s trying to find a date. It can be difficult for men even to talk to someone if they don’t feel confident enough. You can help out your friend by giving them a boost and encouraging him to get out there. Of course, his confidence is also his responsibility, and there’s only so much you can do. But you can give him compliments and deliver a pep-talk. It can also help to find appropriate places for him to meet people. Some men might flourish in a club or bar, but others would rather find dates online or while doing one of their favorite hobbies. There’s only so much you can do to help a friend get a date, but you can give them some assistance. Introducing them to some people might be a good idea. However, they mostly need your support.